Round tin with tin top. 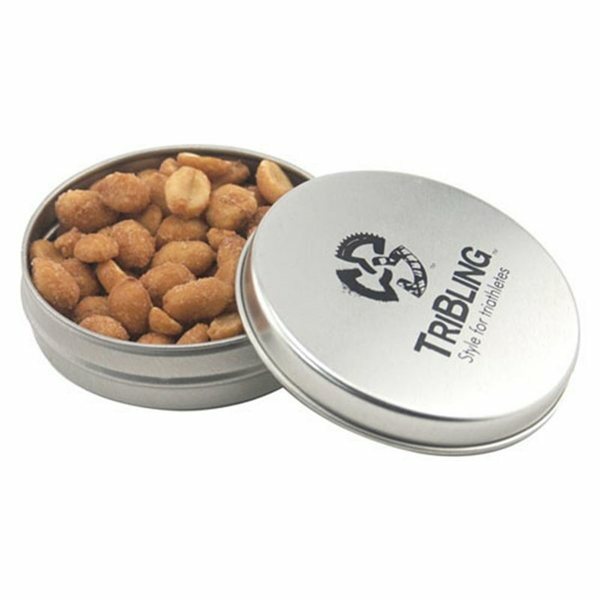 Filled with Honey Roasted Peanuts. Good cost, top quality, great service! It is a great promotional item that has multi purposes. High quality! Color was true too! I love the color!!! They were a large success - and for that reason we are very happy. They were perfect and everybody loved them. The entire process was quite simple.